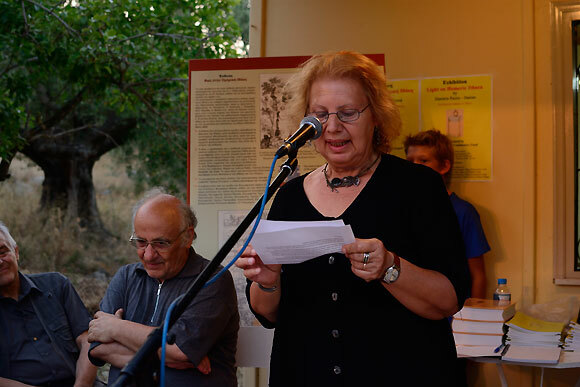 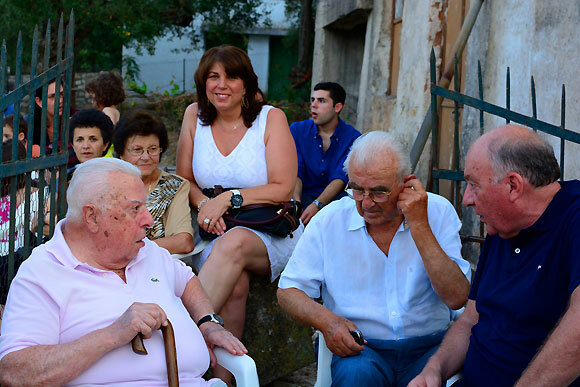 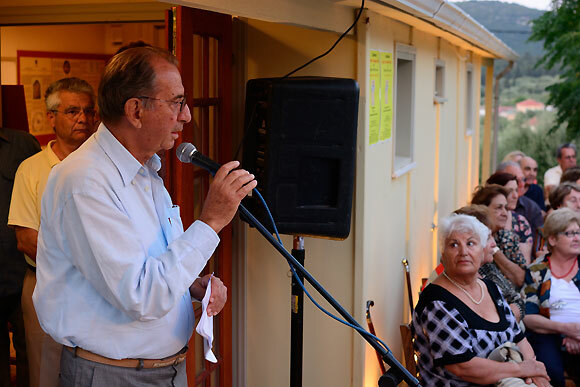 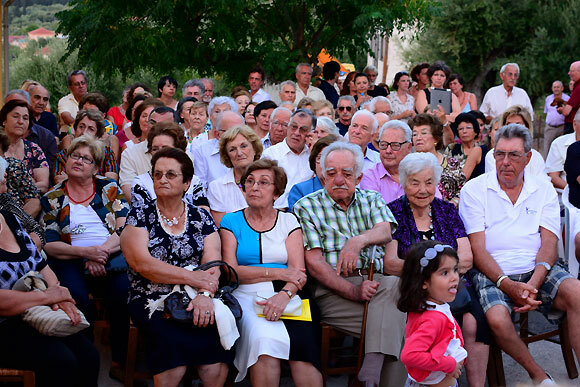 It’s purpose is best outlined in the speech Lila Kouvara-Alimantiri gave to the english speaking visitors to the island. 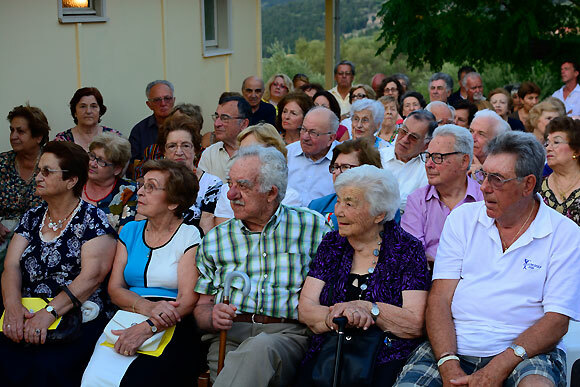 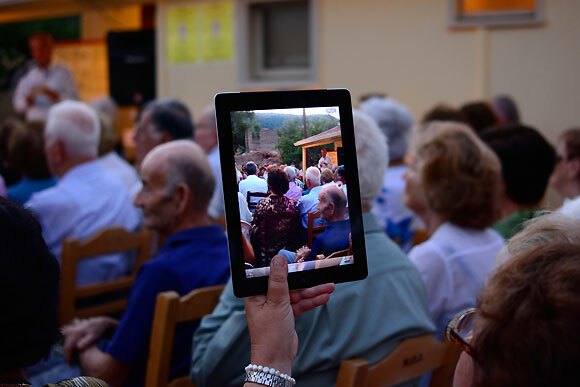 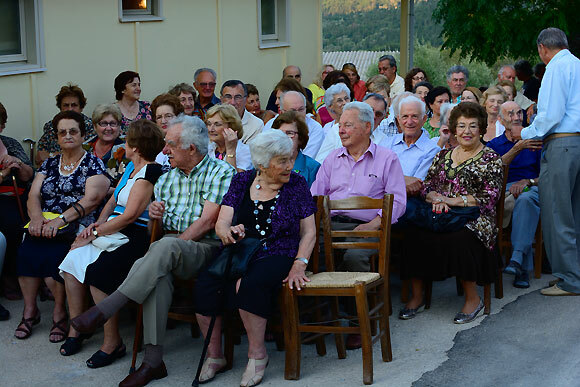 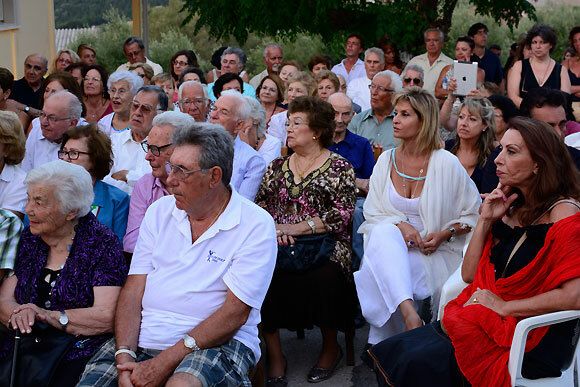 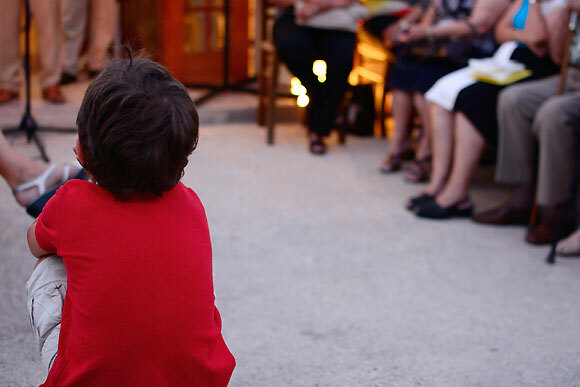 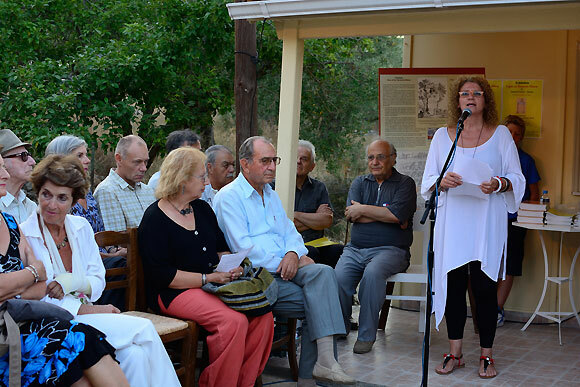 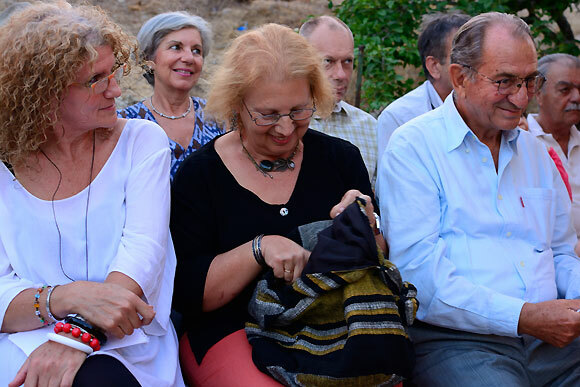 Lila took part in this project as translator of the texts, and she as many others of the Ithaki community, donated their time and effort to achieve this goal. 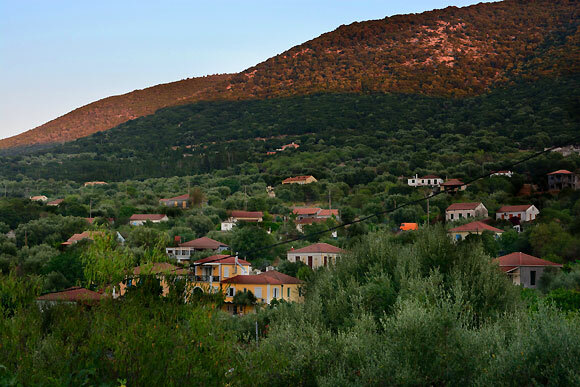 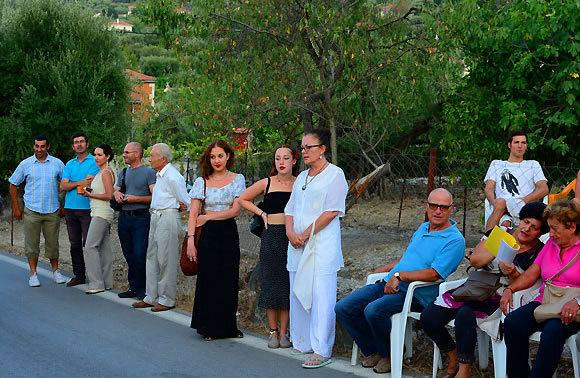 “This is an exhibition attempting to throw Light on Homeric Ithaca, for residents and visitors to the island. 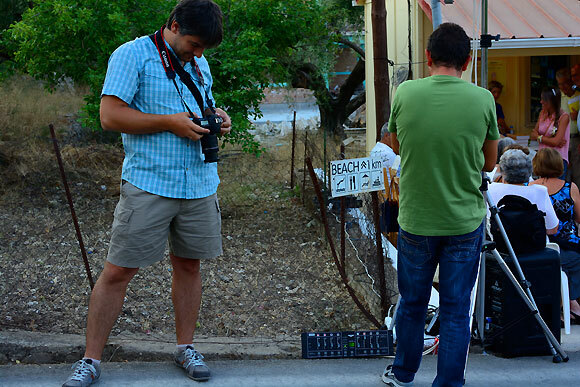 The need for such a project was very simple but at the same time very important. 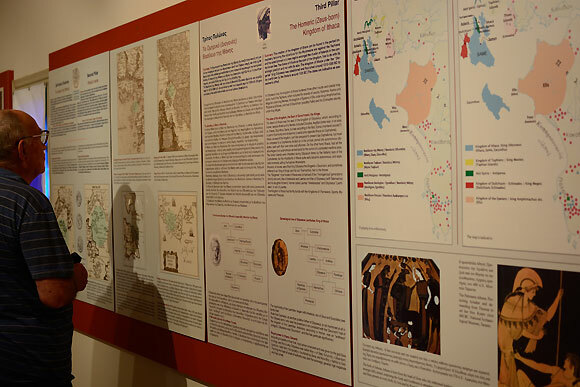 There just wasn’t any one source of information at hand, either in Ithaca or elsewhere, on the subject of fact and myth about Ithaca. 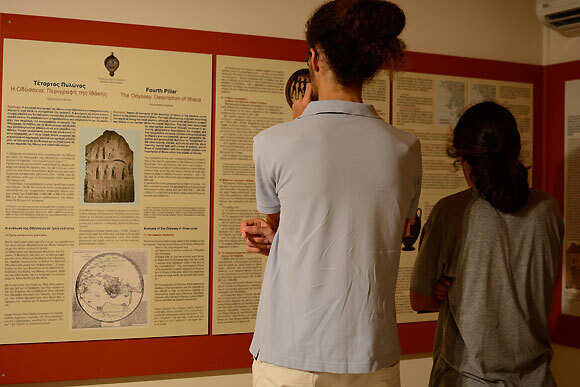 Short of delving into a literally huge amount of dispersed information in libraries, articles, old manuscripts, thesis and papers, there was no way one could obtain a comprehensive picture of Ithaca’s place in history and mythology from one source, and on the island. 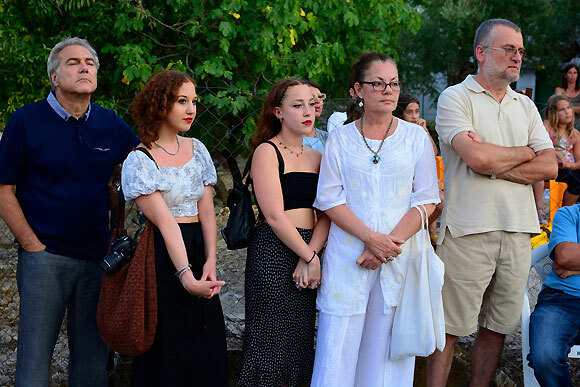 This need was often discussed, especially amongst visitors, but until now no step had been made to do something about it. 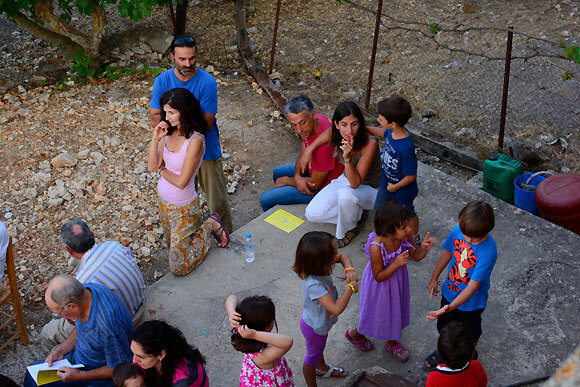 Thus we were very lucky indeed to have two major factors in favour of such a project. 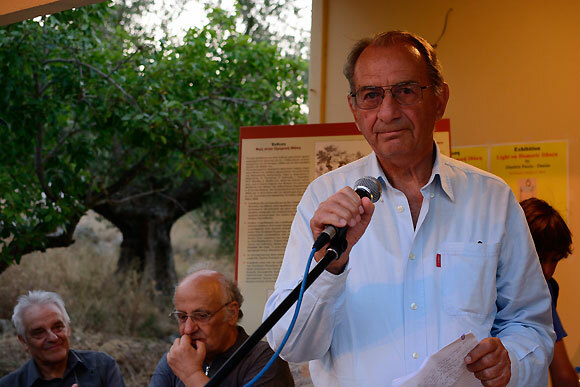 The first is the cooperation of the instigator of this exhibition, Dimitris Paizis-Danias, author of many books and papers on Homeric Ithaca, who we were very lucky indeed to have amongst us, willing to share his work with the public, as he has for at least 15 years been researching myth and fact, from historical and literary sources, concerning Ithaca, it’s history and location. 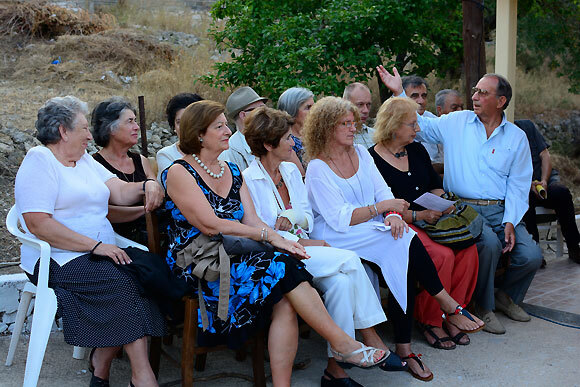 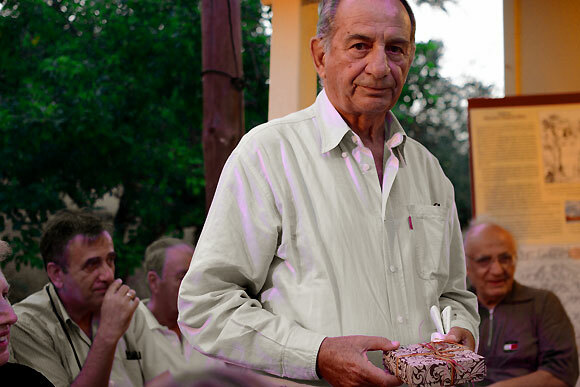 The second is the acknowledgment of this need and the will to act upon it by the civil society, the Stavros Omilos who has supported and financed the project throughout. 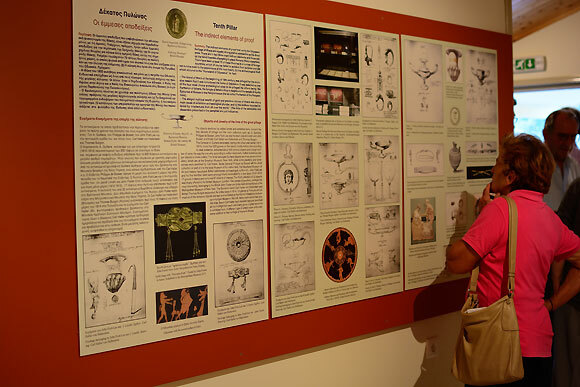 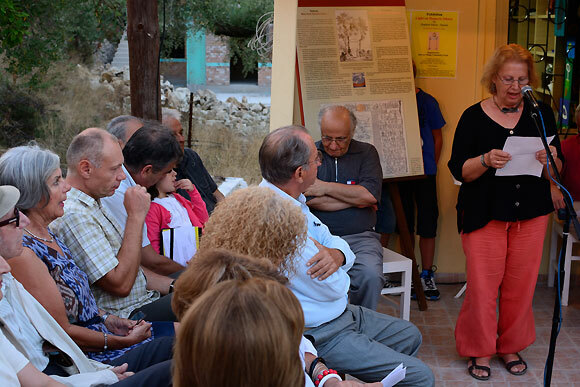 This will be a permanent exhibition, updated according to new archaeological and literary findings, housed in the old infirmary, which has been renovated by the Stavros Omilos to use for cultural purposes. 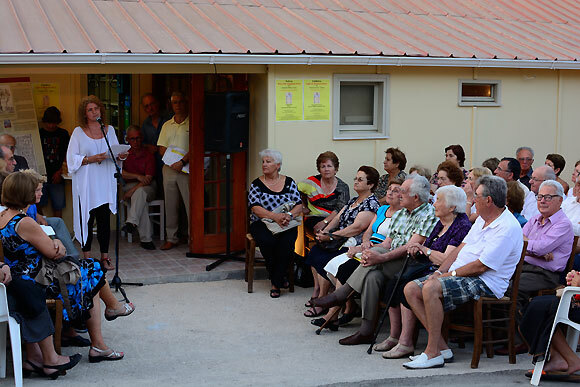 It will remain here until perhaps larger premises in the future are available. 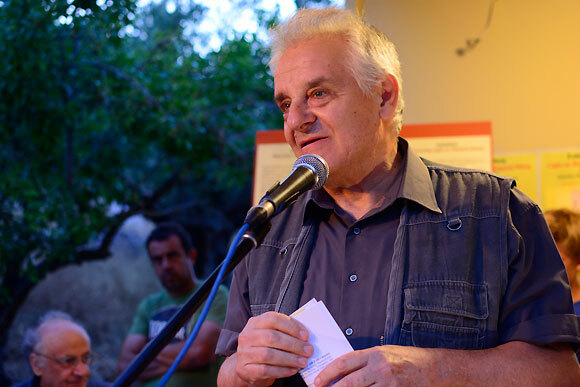 All work involved has been voluntary, the chief bulk of which has been by Dimitris Paizis-Danias, on the concept and texts. 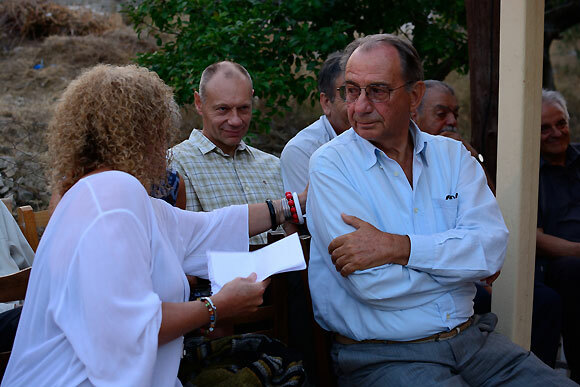 Mr Yannis Soukis volunteered hours of his time for the graphics, computer design and editing, I enjoyed myself for hours translating, researching terms and side-tracking into historical facts and myths, while many thanks must go to the many more volunteers for undertaking from editing to setting up the premises, everyone whose valuable work has made all this possible. 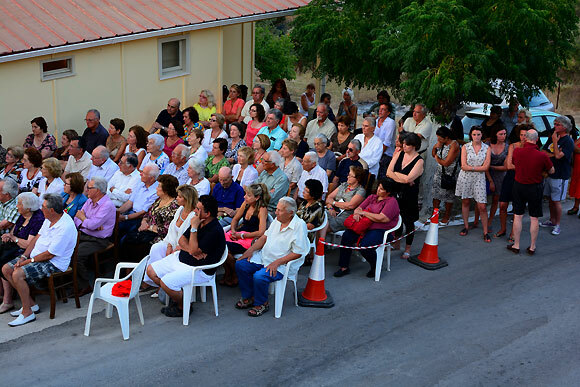 I was impressed by the turnout for this opening. 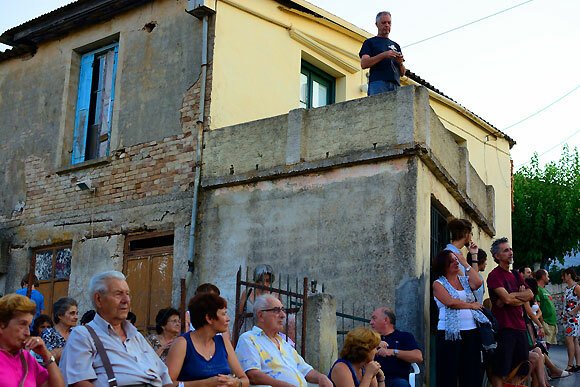 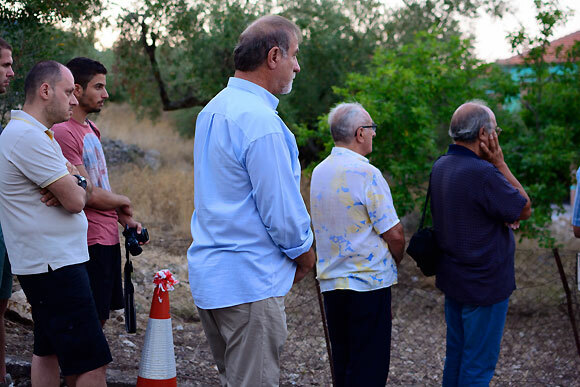 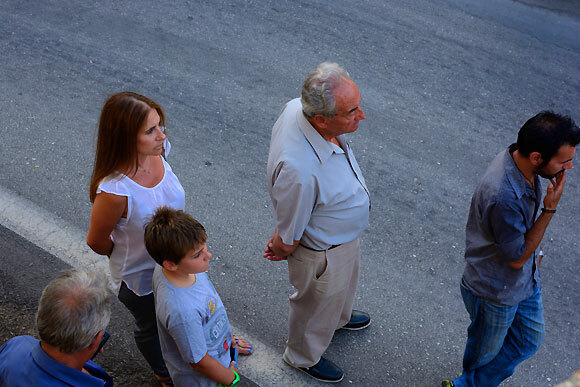 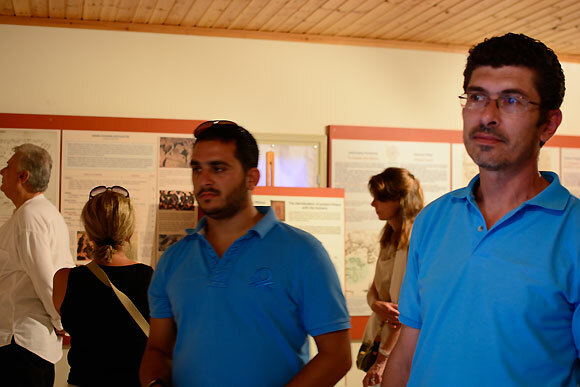 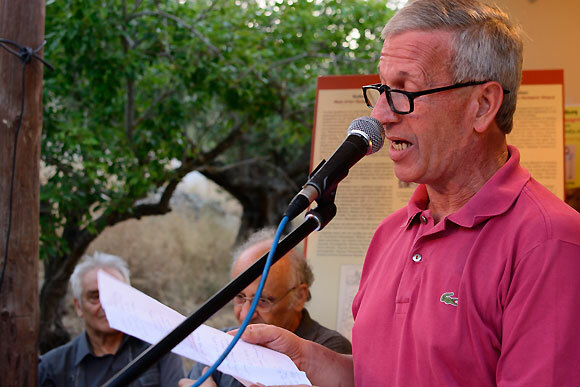 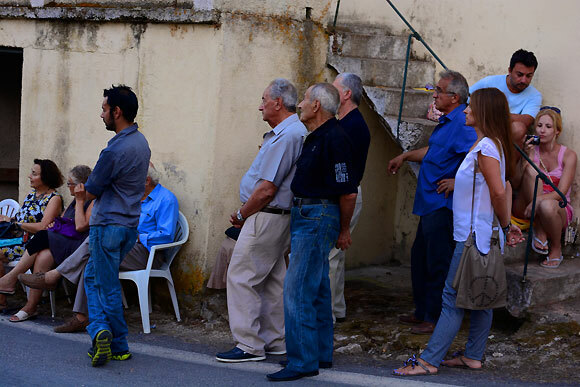 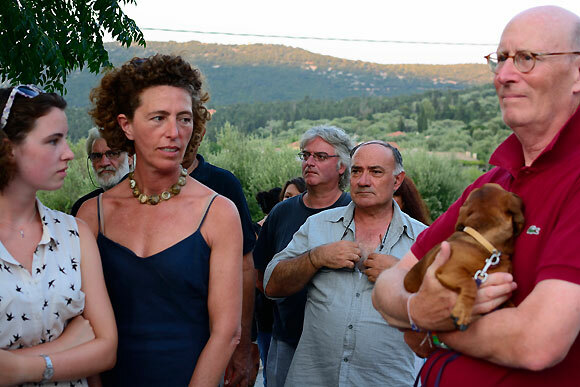 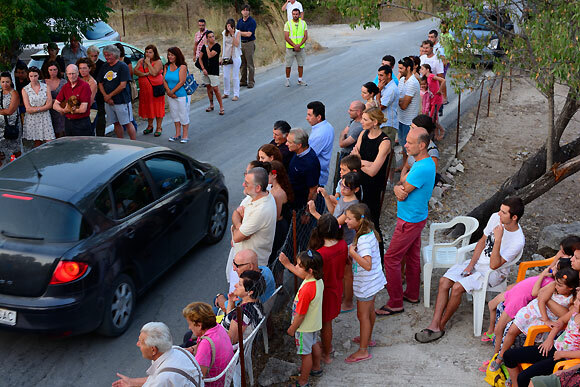 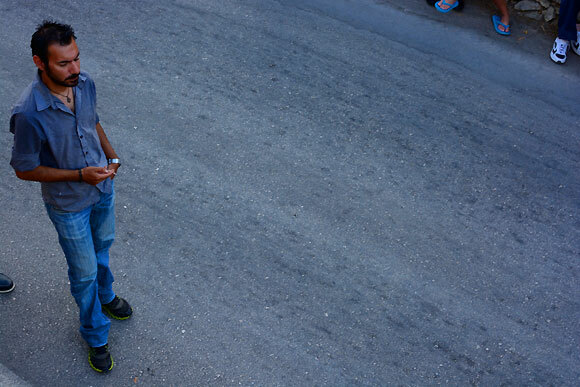 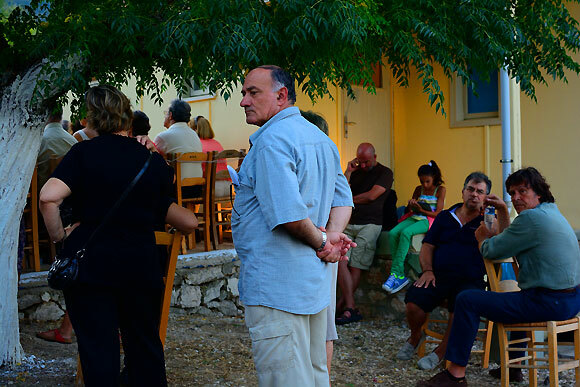 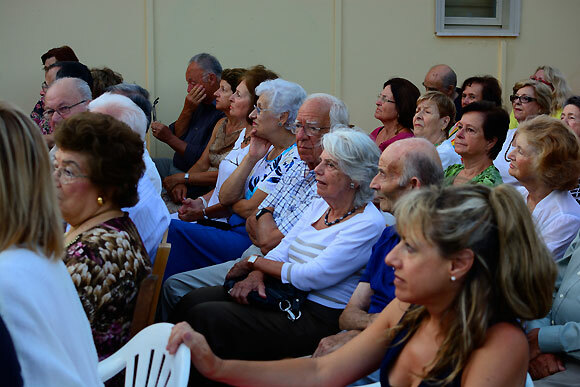 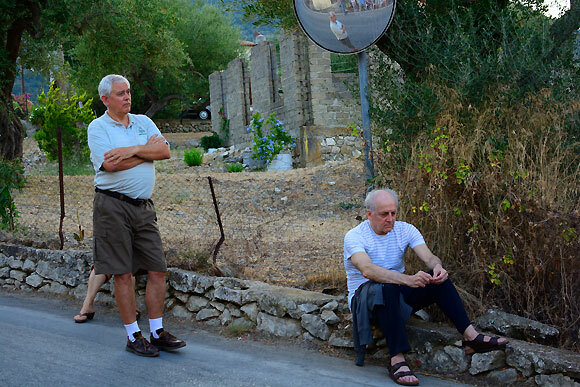 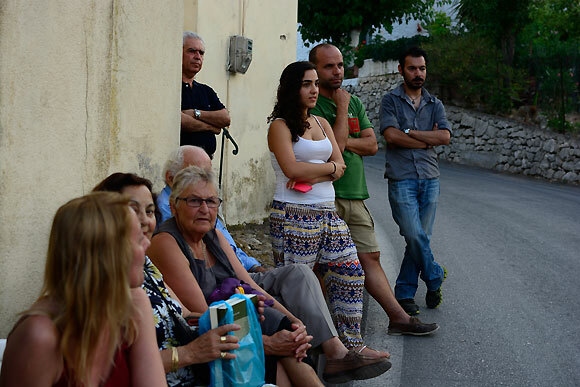 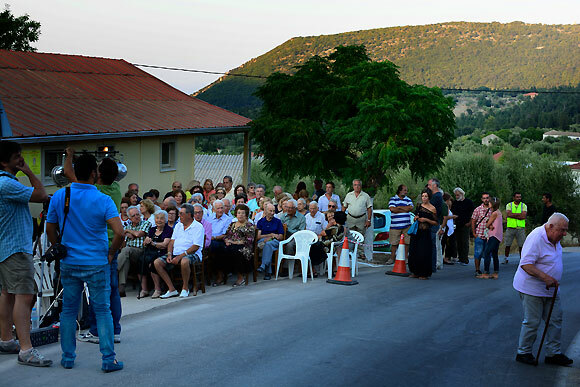 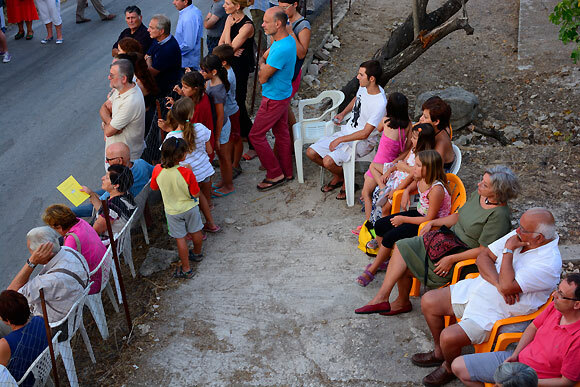 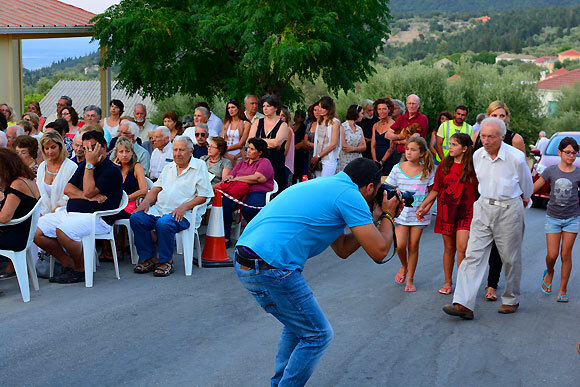 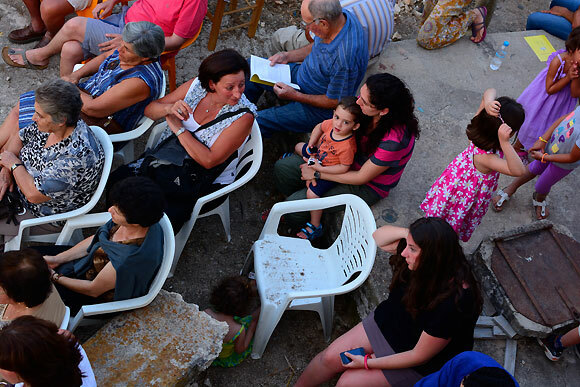 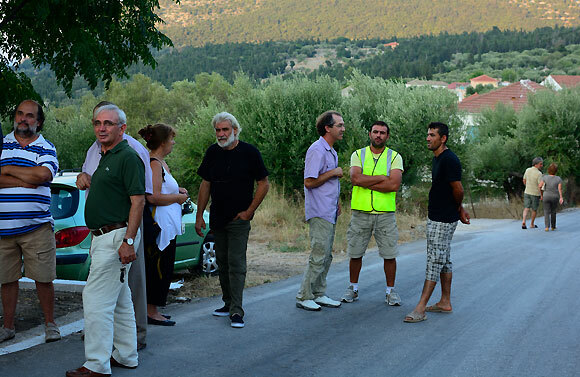 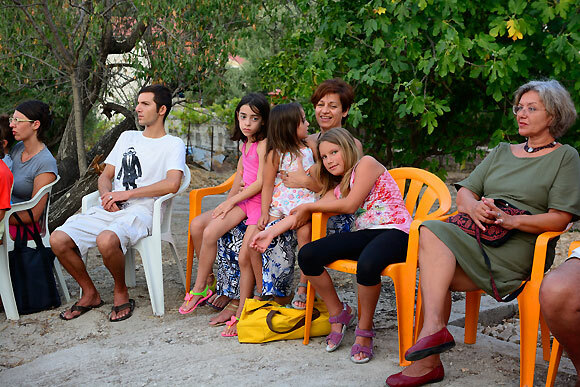 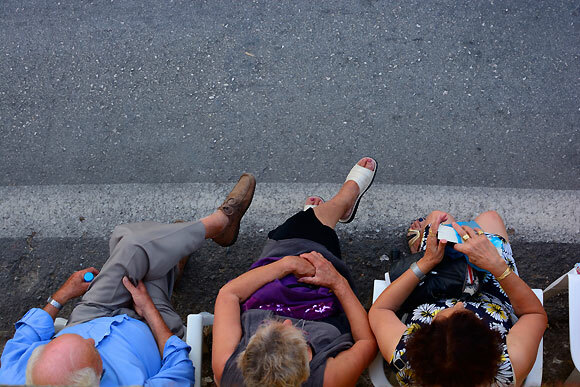 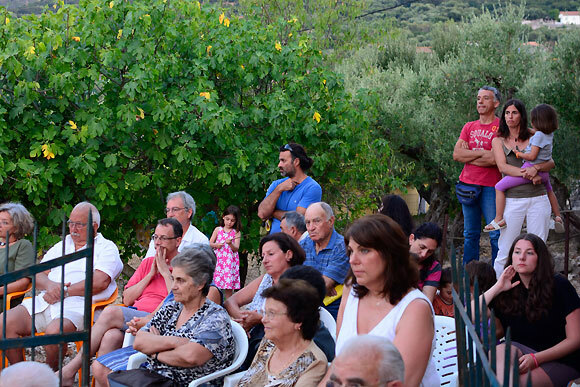 Locals and visitors packed around the Stavros exhibition, separated by the major road that runs from Stavros to Frikes, listening with interest, to the speeches made and poems, read. 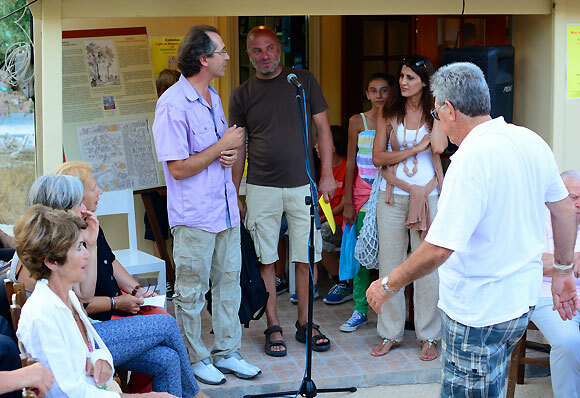 From villagers to council members, the pride of this exhibition and achievement for Ithaca in general,was etched on everyone’s face. 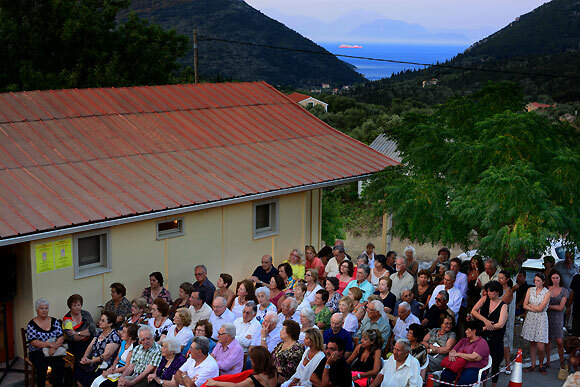 Ithaca and Odysseas, finally joined in one place for all to see, be informed and enlightened by, and to enjoy. 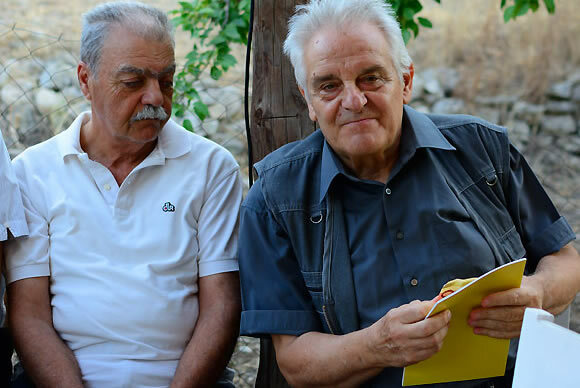 The transcripts are in Greek and in English. 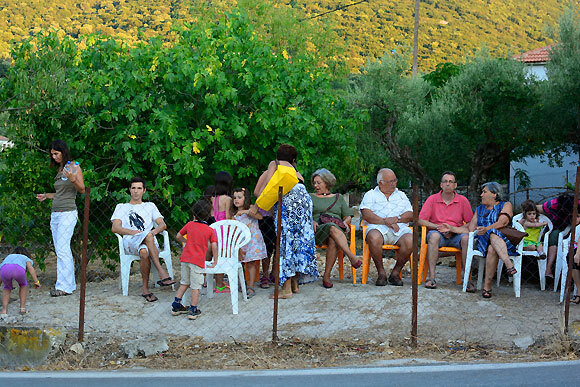 Go along and take a look.